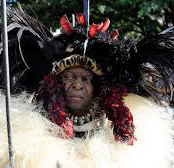 King Goodwill Zwelithini -king of the Zulus in ceremonial garb. The renewed outbreak of violence against immigrants from other African countries – mainly from Zimbabwe and Malawi, the Democratic Republic of Congo, Rwanda, Nigeria, Somalia – in South Africa is branded as “xenophobia”, but I am not convinced this is the adequate term to use here. The Greek word “xenos” means “foreigner” as well as “guest” and everything in between. A “xenos” can be a foreigner you are welcoming into your home and someone hostile to you. The “phobia” in connection with a “xenos” means you are afraid to take a foreigner into your home, you are suspicious of the foreigner’s intentions and deny him or her your hospitality. This is what happened to Piet Retief and his team of trekkers in 1838 after they had successfully, or so they thought, negotiated a land settlement deal with the Zulu king Dingane who however, after having signed the treaty, ordered his impis to slaughter the negotiating party one by one and an estimated 500 men, women and children in nearby camps thereafter. This in turn, some months later, led to the Battle of Blood River where 470 Voortrekkers under Andries Pretorius withstood in their encampment along the Ncome river the onslaught waves of up to 20.000 Zulu warriors and made history. Theirs was not xenophobia but eradication of a potential competitor for grazing. A nation wants to stand tall and proud. Similar sentiments are at stake today. Foreigners are seen as competitors in a demanding job market. Our local labour force finds it difficult to compete with well educated workers from neighbouring countries, such as Zimbabwe and Malawi. While it is claimed that Nigerian nationals are holding the lion’s share in the drug and scam trade, it is no secret that Zimbabweans are very much in demand in the hospitality industry where our local labour force finds it difficult to compete. Similarly, traders from Somalia are offering competitive services to consumers while making profits through efficient networking. All of this has created a volatile situation where the local labour force, disadvantaged by inferior or non-existent education, hamstrung by labour union policies and dispirited by almost fifty years of de-humanising legislation, is becoming more and more frustrated. It’s a powder keg scenario where one word can be the spark to ignite it. 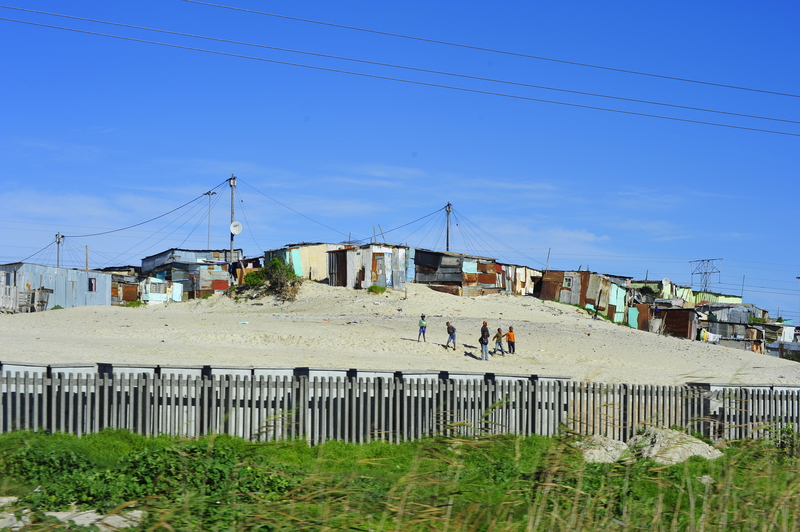 Informal settlements near Cape Town. Xenophobia is not a South African thing at all. On the contrary. 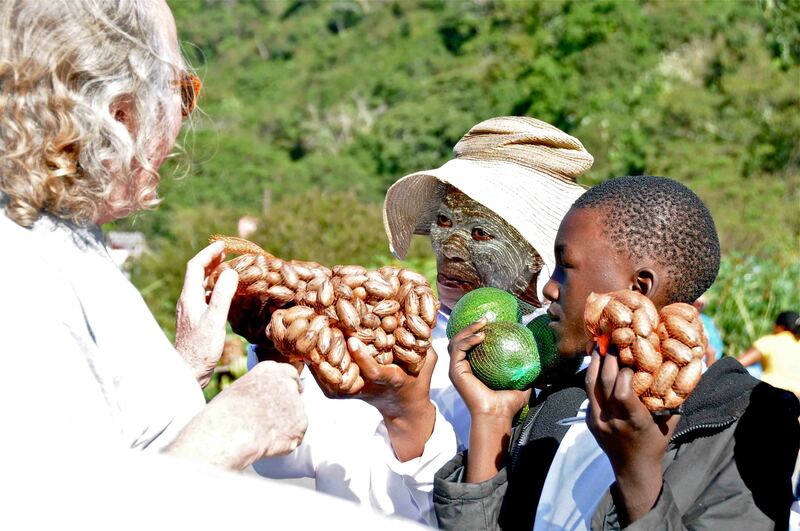 South Africa has a long tradition of inviting foreigners into her home and integrating them into her industry and culture and that has made this country strong and great. The situation seems to be changing now in that the majority of the people see themselves as disenfranchised despite promises to the contrary. And while the tide of foreigners drawn to this country is rising dramatically, there is no real hope for a dramatic change in the ordinary man and woman’s lot. 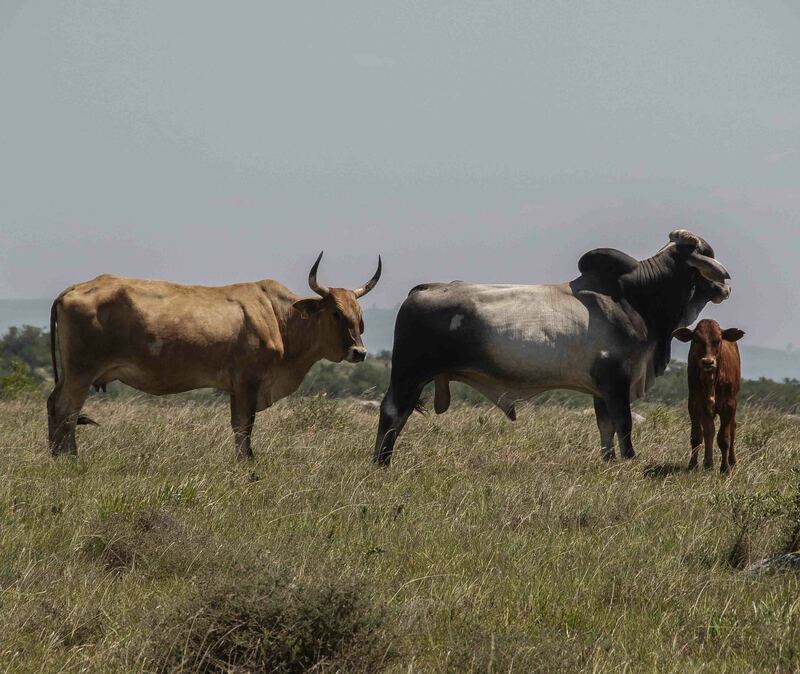 Wild coast/Eastern province road side exchange. We cannot address xenophobia without addressing the underlying causes. For South Africa this means to dramatically increase the efficiency of our educational machinery. Educated people need not fear the foreign. They are equipped to integrate them into the general societal fabric and network. It is the uneducated masses that feel left behind and cheated out of their hopes and promises. And they are getting angry. Xenophobia in South Africa is an expression of this anger. It is misdirected, of course, and abused by all too ready background looters. Not the foreigner is at fault but government policies that have failed in providing the majority of people with a level of education that would enable them to compete with foreigners seeking work opportunities in their neighbourhood. 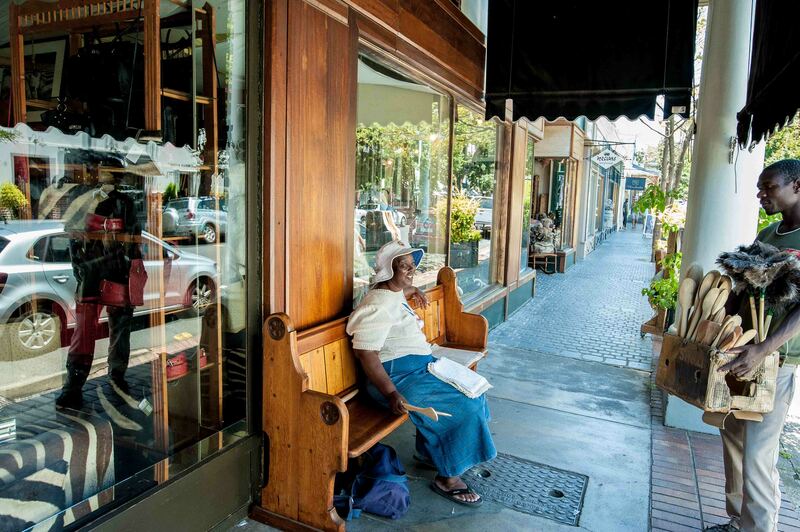 Winnie, originally Malawian, now resident in Zimbabwe, plying her trade in South Africa. “Freedom Day”, in commemoration of the first all-inclusive democratic elections in 1994. Thanks, Walter, for these clarifying comments!